My dishwasher was flooding the floor in my kitchen. Luckily I caught it before it ruined everything. The setup of an appointment was well coordinated and communicated by Paradise with call and emails confirming the appointment. The repair tech Enrique called when he was on his way and arrived on schedule. It took him 3 tries to fix the problem and in the end he solved it. He was very nice and easy to talk to and explained what he was doing every step of the way. Outstanding service provided by the technician and office staff. We had a troublesome Kitchenaid microwave that Chris Zapeda totally and efficiently repaired under warranty. 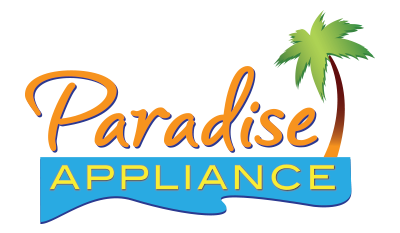 It is always refreshing to have something usually painful like appliance repair handled so well. Dealing with the office and scheduling was also a great experience. Definitely request Chris Zapeda for any service needs if you can be fortunate enough to book him. Chris is very Knowlwdge, punctual & a generous in sharing knowledge of maintaining the machine. I was very happy with his attitude & service. A quick and easy service visit. Tech assured that the part needed was available for next day delivery; it took a week to get the part and then another 4 or 5 days to get the service call, likely due to the Thanksgiving holiday. REFRIGERATOR MAYTAG MSC21C6MFZ00 "Water hose bottom of freezer door are kinked, damaged, replaced dispenser water line and leak tested." REFRIGERATOR JENN-AIR JF36NXFXDE01 "No interior ilumination, ordering led driver and leds. ; ordrng 1 W10640411 (invrtr-box) and 4 W10908166 (module)s"
DISHWASHER JENN-AIR JDB9000CWP3 "Customer stated dispenser not always working, replaced the sispenser assy and instructed to use rinse aid...."
DISHWASHER KITCHENAID KDTE704DSS1 "Not working at all, there was no power at wall outlet, reset the GFI and ran diagnostics test, machine working fine at this time..."
REFRIGERATOR FD KITCHENAID KRMF706ESS01 "Moisture inside refrigerator section, replaced door closer and ice bin gasket, broken clip on ice box fascia, ordering part fascia with heater. ; ordrng 1 W11197489 (fascia heater), ordrd 1 00-44-439 (nut)"
REFRIGERATOR JENN-AIR JFC2290REP00 "Right door making noise when opening or closing, replaced door hinges and door cams, tested working fine now...."
RANGE-GAS WHIRLPOOL JGRP548WP02 HELPING PA.
REFRIGERATOR MAYTAG MSC21C6MFZ00 "Water hoses bottom of freezer door is badly kinked need hoses or the hole door, new just purchased customer wants unit replaced." REFRIGERATOR WHIRLPOOL KBSN608ESS01 "Top grill is bent, ordering grill and name plate, please mail ot parts, customer will install. ; ordrng 1 W11028271 (grill DS) and 1 W10839793 (name plate DS)"
DISHWASHER WHIRLPOOL WDT970SAHZ0 "Door not closing correctly, adjusted the door and leveled uinit.."
REFRIGERATOR KITCHENAID KRMF706ESS01 "Moisture collecting around ice maker fasia,found left door not closing correctly, ordering door gaskat and door closer...; ordrng 1 w10846057 (gasket door) and 1 W10567563 (gasket- ice) and 1 W11163783 (door closer)"
REFRIGERATOR KITCHENAID KSC24C8EYY02 "Not cold enough, found refrigerator section not auto defrosting, customer claim is a sealed system problem under warranty, declined to pay, called tech line #7724377861"
FREEZER WHIRLPOOL WRS571CIHW01 "Frost on top of freezer compartment, removed frost vand adjusted door gasket, tested , door closing fine now...."
REFRIGERATOR KITCHENAID KSSC42FTS02 "Not making ice, waterlind is frozen or kinked, need 2nd man to pull out built in unit, ordering ice maker fill tube and fill heater. ; ordrng 1 WP2221240 (fill heater) and 1 WP2307650 (valve) and 1 WPW10277450 (ice maker) and 1 2ndman (2nd man)"
DISHWASHER MAYTAG MDB8959SFZ4 "Water leaking and overflowing, replaced the main control board, water valve and overflow switch, tested working fine now." REFRIGERATOR FD WHIRLPOOL WRF555SDFZ01 "Not freezing efficiently, found ball of ice at evaporator entrance due to low on freon, need evaporator coil and compressor, per customer do not repair for now...."
DISHWASHER MAYTAG MDB8959SFZ4 "Leaking water from borttom fill water valve does notr stop filling with water causing overflow, ordering walve and main control boartd...; ordrng 1 W10906431 (control electronic) and 1 WPW10327249 (wtr valve)"
DISHWASHER MAYTAG MDB8959SFZ4 "Leaking water, fill wont stop is over flowing, ordering parts. ; ordrng 1 WPW10195039 (switch) and 1 WPW10195036 (float) and 1 WPW10195037 (lever) and 1 W10873429 (housing) and 1 WP8531743 (gaskat)"
REFRIGERATOR KITCHENAID KSCS25FVSS01 "No ice, repolaced the ice maker and tested...."
REFRIGERATOR JENN-AIR JF36NXFXDE01 "Some lights not iluminating, replaced leds in the freezer compartment and tested, lights working fine now..."
REFRIGERATOR KITCHENAID KSSC48QMS02 "Lights in the refrigerator section not working, adjusted ff top hinge and reinstalled light switch." REFRIGERATOR MAYTAG MSD2576VEM00 "Will not stop dispensing ice at times, need dispenser switch but part is no longer availlable..."
REFRIGERATOR JENN-AIR JF36NXFXDE01 "No interior lighting, replaced leds and tested, reinstalled bail arm to ice maker and cycled tested...."
REFRIGERATOR KITCHENAID KBBR206ESS01 "No interior lighting, replaced the led power supply board and five leds, tested, all working fine now...."
REFRIGERATOR JENN-AIR JFC2290REM00 "Refrigerator lft door not closing correctly, adjusted door and leveled unit..."
REFRIGERATOR JENN-AIR JFC2290REP00 "Door not closing correctly, replaced door mullion and tested, working fine now....."
REFRIGERATOR WHIRLPOOL WRF535SMBW00 "No ice at all, replaced the ice maker and cycled tested it......"
WASHER WHIRLPOOL WFW92HEFC0 found pressure switch to be bad ... replaced with a new one and now unit..
WASHER MAYTAG MVWP575GW0 Replaced the shifter and main control board. Calibrated the washer. REFRIGERATOR JENNAIR n/a "LEDS not iluminating, some do, ordering leds and power supply...; ordrng 5 w10908166 (leds)s and 1 W10640411 (power supply)"